Ah, breakfast! Starting the day off right can sometimes be a chore in itself. Time is of the essence before everyone has their place to be. Instead of grabbing that box of cereal maybe try some of these easy breakfast ideas for kids to start their day off with something a little more nutritious. P.S. 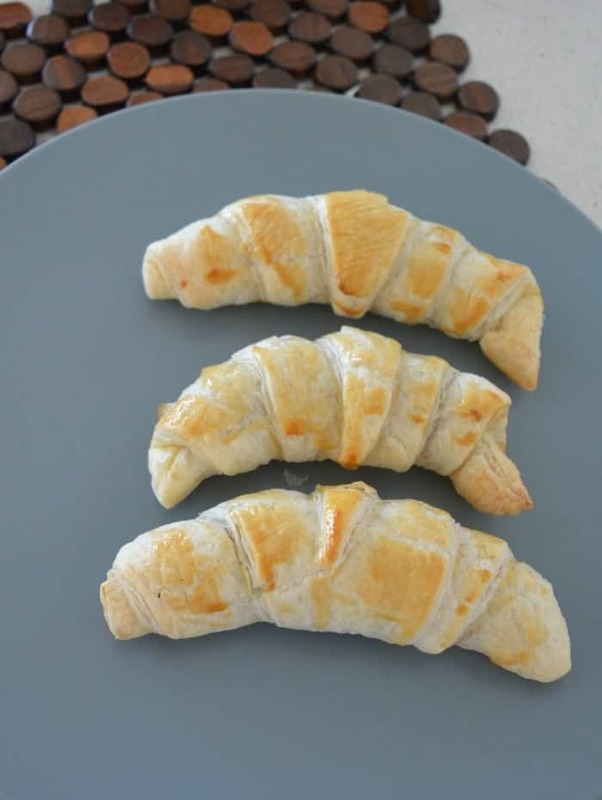 If you enjoy these kid friendly recipes perhaps you would like more in our Recipes for Toddlers and Kids Thermomix ebook? You can find it here in my store. 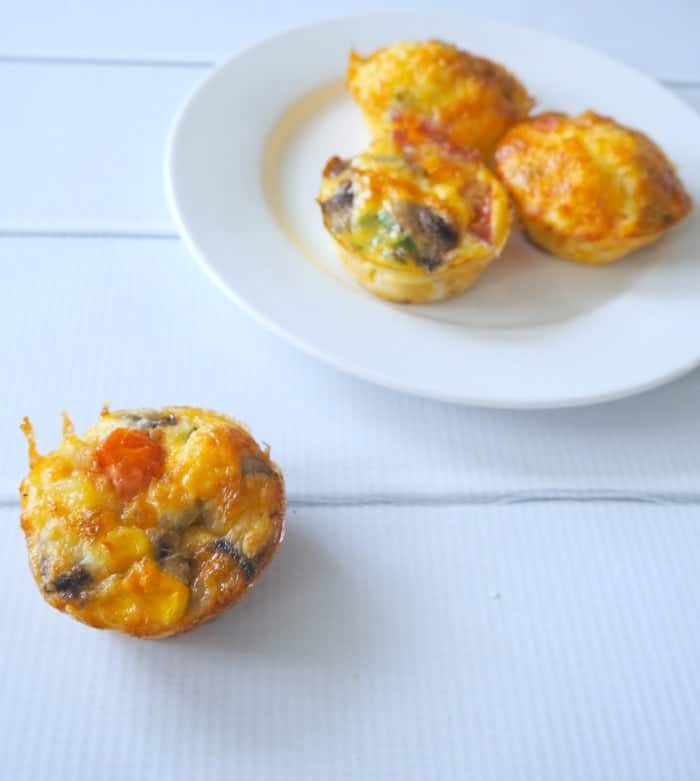 As the name suggests, these Easy Egg Muffins can be made with whatever you have left in the crisper. 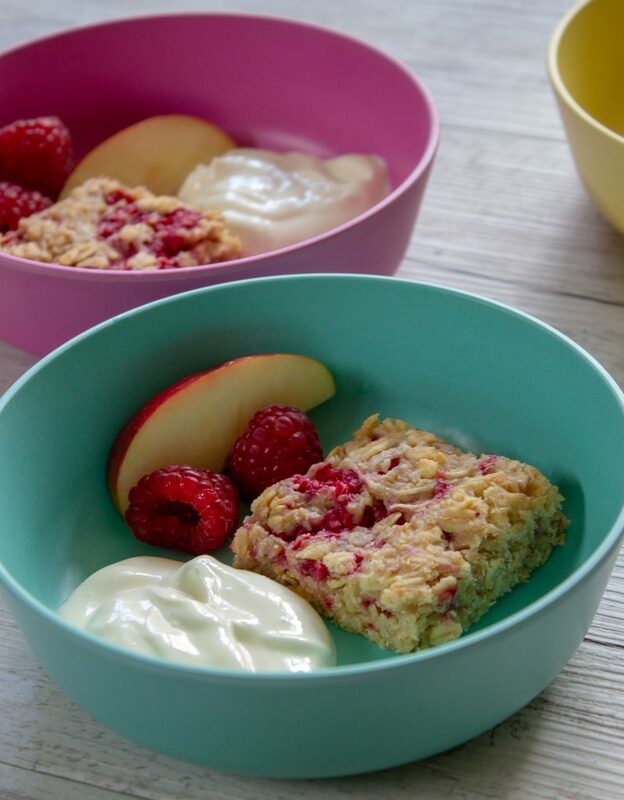 Do better in the breakfast stakes with this Apple & Raspberry Breakfast Oat Slice. For a special weekend breakfast, these 3 Ingredient Nutella Croissants are perfect! Colourful, healthy and delicious, these Fruity Rainbow Breakfast Wraps tick a lot of boxes! The easiest and BEST 3 Ingredient Egg and Bacon Pies ever… pop them into the oven for a delicious breakfast. 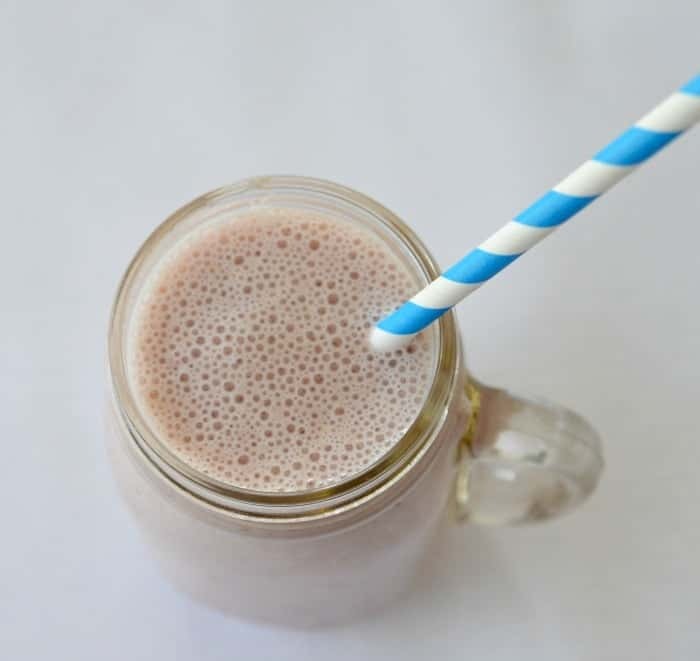 Try this quick and tasty Banana & Berry Smoothie. These Healthy Blueberry Pikelets are prefect for breakfast on the run or even a lunchbox snack. These Oat & Apple Muffins are so quick and easy. What kid would complain about these Peanut Butter Chocolate Chip Pancakes for breakfast?! 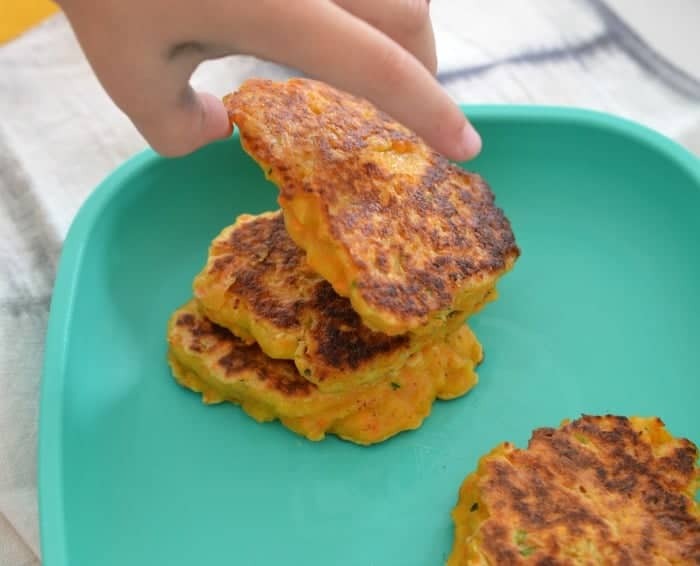 My kids love these Sweet Potato Fritters. Plus they are freezer friendly! These sugar free Tropical Fruit Bars would make a great breakfast for on the go. Perfectly crispy Fruit & Nut Granola Clusters made with coconut oil and rice malt syrup = the most delicious breakfast ever! Na-cho average breakfast! Breakfast Nachos. 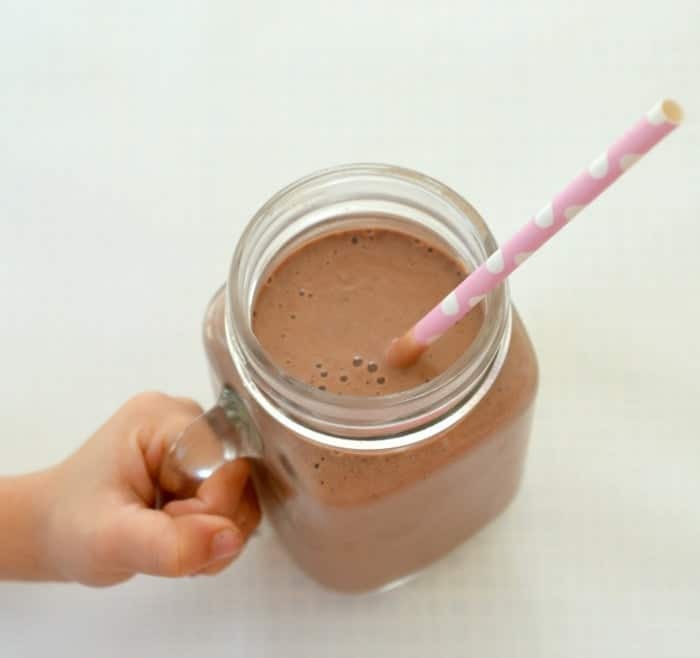 This Healthy Chocolate Smoothie recipe is one of their favourites and they both think that they are SUPER lucky to be having a ‘chocolate milkshake’! Keep the good food going throughout their day with my TASTY TUMMIES HEALTHY LUNCHBOX SNACKS BOOK. It contains 14 brand new healthy lunchbox recipes for Thermomix and conventional cooking.